And while it’s solid in it’s construction, it’s outdated. It’s that dark wood. And so it sat, much used and loved in the kitchen of 139 Maplewood Avenue. Until one day my friends, Carol and Andrea, took me on a field trip to Verdigreen in Montclair, NJ. 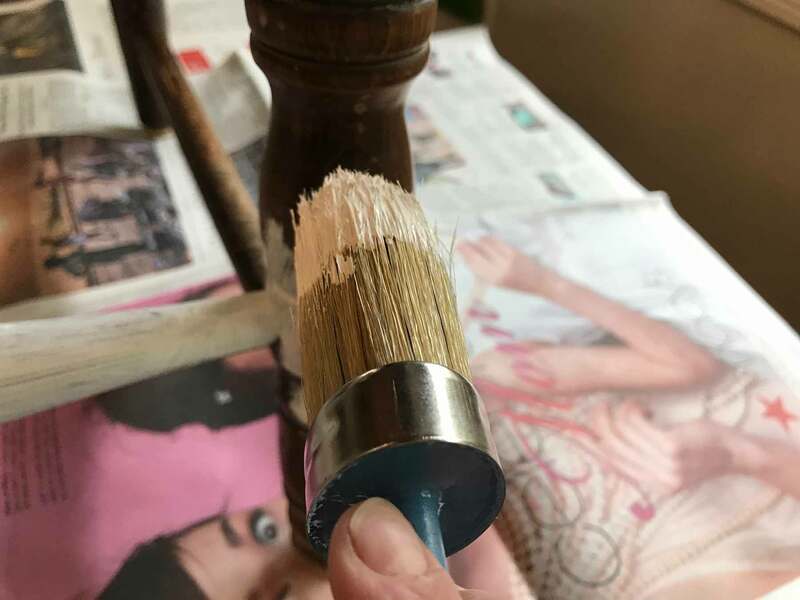 From milk paint to chalk paint to gilding wax, If you’ve got half an imagination and an itch to do something creative, you can find your confidence here. 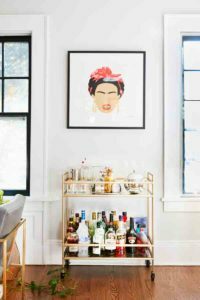 If you want a statement piece, don’t have much money and not a lot of time, you can find inspiration on the walls and in a quick convo with owner/designer Azie Shelhorse. 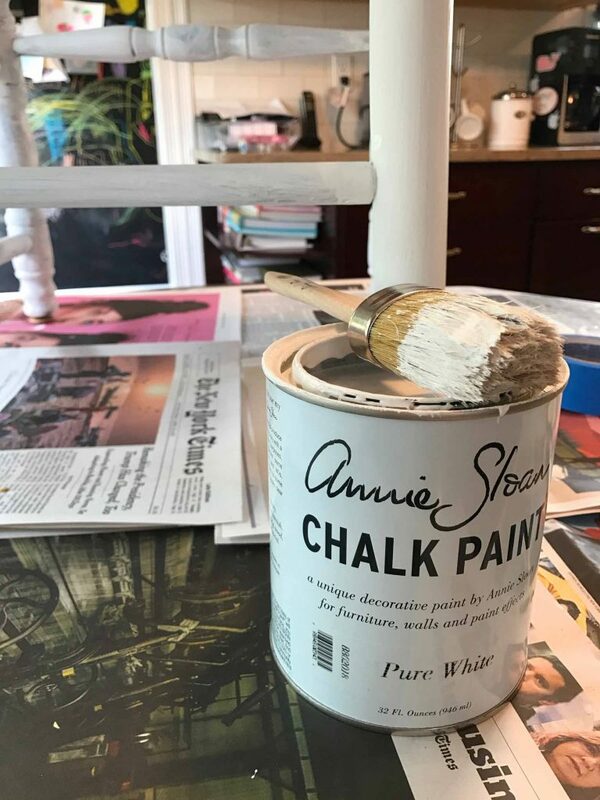 I walked out with 2 pots of Annie Sloan chalk paint in Pure White, one oval-shaped Pure Bristle Brush, and one wax brush. It’s just about one of safest paints around and can be comfortably used by pregnant women and in a home where there are children – even on their toys. 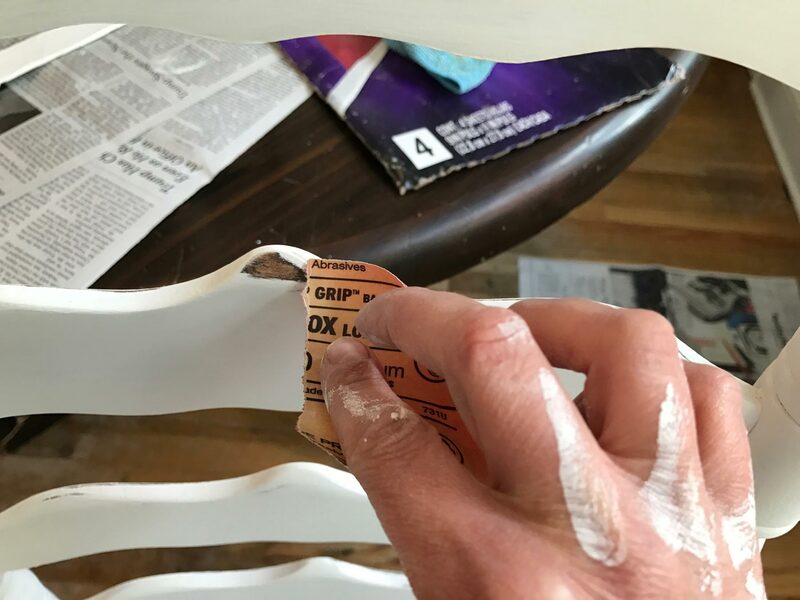 Perhaps the coolest thing is that priming and sanding isn’t necessary as this paint sticks to most surfaces. There are many ways to use the paint to get your desired effect: Vintage, two-color distressing, rustic, and modern. 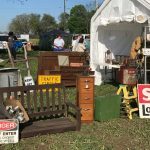 For my project, I chose vintage. 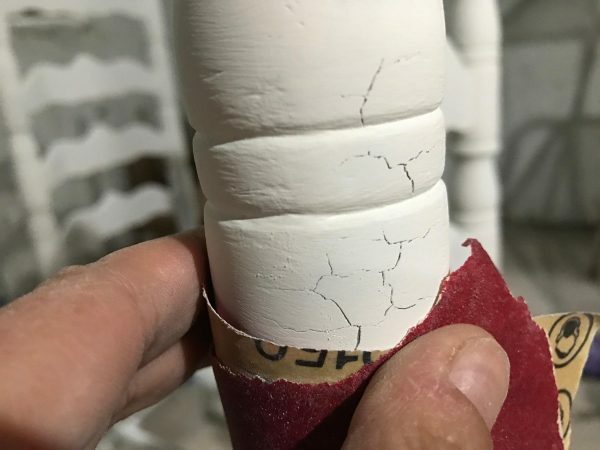 There are numerous websites and video clips teaching you every tip, trick, and technique for using Annie Sloan paint. The internet doesn’t need another one. 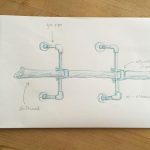 This post is about my experience using the paint – what I learned, what I would have done differently, and what surprised me. I washed the furniture with a mild dish soap and a pad scrubber. I knew my mother cleaned these with every furniture polish imaginable, including Old English Oil. These build up over years and years of use. And while the paint adhered very well and in most places, I didn’t get all of the build up off. Some of the paint cracked. Further research told me that a good scrub with TSP (Trisodium Phosphate Cleaner), followed by Denatured Alcohol, would get rid of it. Since I was well past this, even though I had TSP in my utility closet, a fine sanding to the raw wood removed the build up. I simply painted over it. 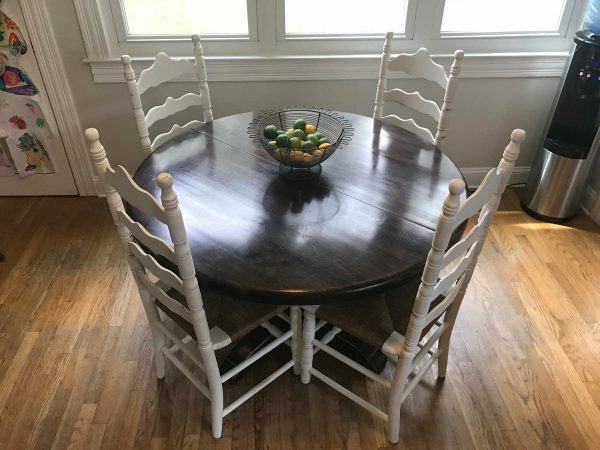 When painting a piece of furniture with many nooks and crannies, especially chairs, take one section or spindle at a time and make to cover it all. You’d be surprised how easy it is to miss a spot simply because you can’t see everything surface that needs to be painted. 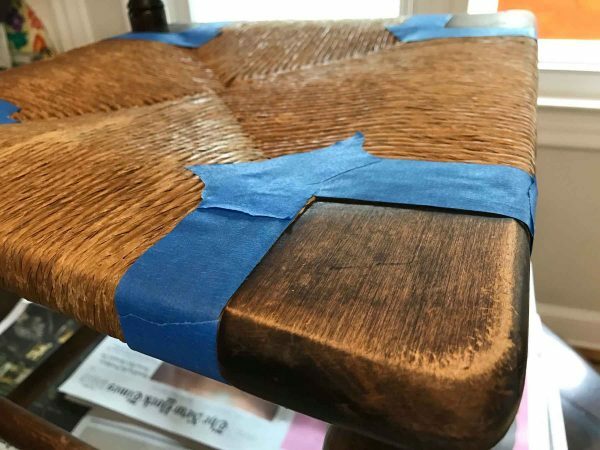 To make a unique distressed look, use a fine-grade sandpaper and sand lightly or down to the raw wood – whatever you wish. Make sure to cover each and every section with Annie Sloan wax. You can always paint right over it, the wax that is, if you change your mind regarding distressing. 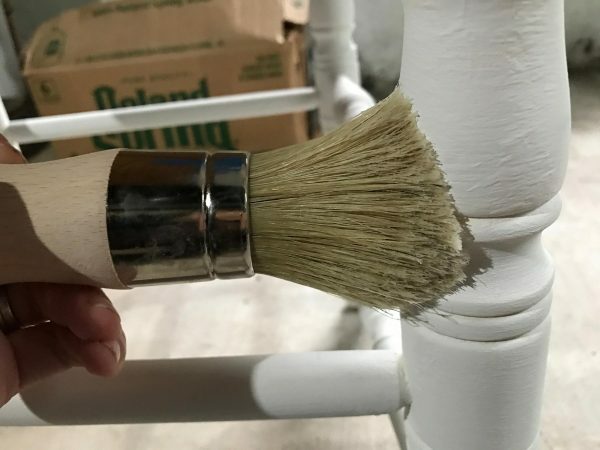 It’s true – this paint is durable! 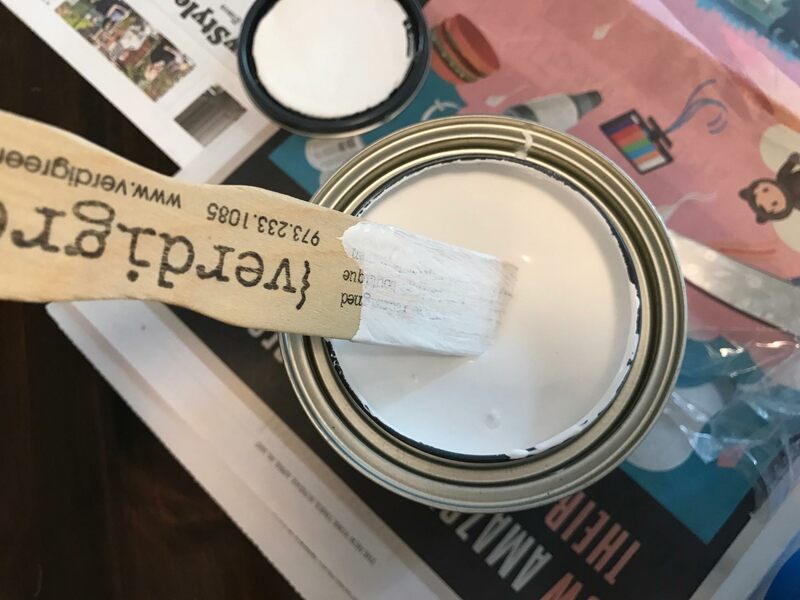 Before writing a post, I needed to be sure that this paint would stand up to everyday use. It actually does – it’s really quite amazing. 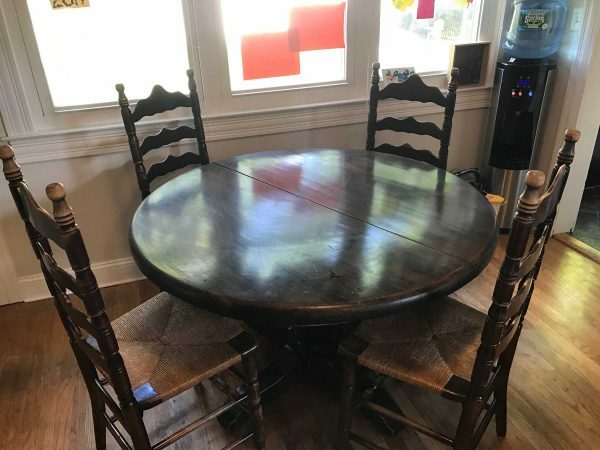 These chairs are at the kitchen table, obviously seeing much use, including food and paint splatters.I take soft cloths and mild soap to clean the messes – no damage to the paint! It’s the wax! Make sure to cover every part of it with a wax brush. Remove the excess with a cloth. Again, if you have a lot of nook and crannies, make sure to work it in those! Very beautiful painted chairs of solan.